At Furkids, we focus on saving the lives of companion animals from heartbreaking, undesirable or dangerous circumstances and finding them lifelong, loving homes. The following are programs we developed to build what has now become one of the most successful animal welfare organizations in the South. We work with volunteers, pet owners, and animal welfare organizations in the Atlanta area to identify animals in need and safely transport them to our shelter for immediate care. 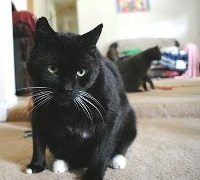 These animals are lost or abandoned pets, feral cats, and pets whose owners can no longer take care of them. They are animals of hoarders and puppy mills. 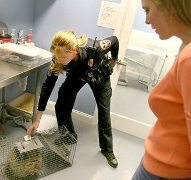 And, all too often, they come from county animal control units or kill shelters where they were scheduled for euthanasia. We take the extra step of following the guidelines of The Humane Society of the United States when we conduct rescue operations. To date, we have saved over 10,000 animals from death and have greatly improved their quality of life. 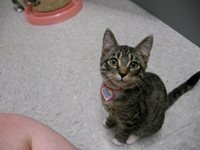 We are Georgia’s largest no-kill animal shelter. We operate a 5,000-square-foot facility that houses 275 cats in a clean, cage-free environment. 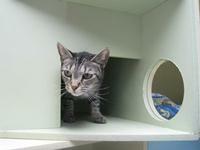 Our shelter features 11 spacious rooms where cats reside until permanent homes are found for them. Additionally, we have an on-site veterinary clinic and surgical suite, quarantine and isolation rooms, and offices. Furkids has a state of the art dog shelter recently renovated by Choate Construction Company. 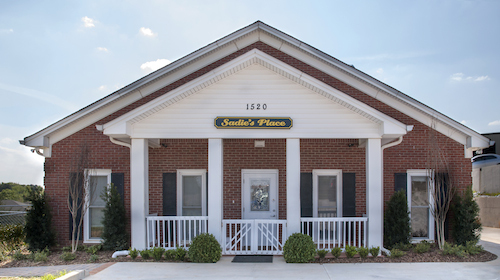 Our dog shelter, Sadie’s Place is the gold standard of dog shelters. Both shelters are inspected and licensed annually by the Georgia Department of Agriculture and all of our animal-care procedures exceed Georgia state requirements. 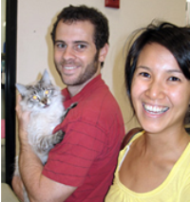 Furkids began as a network of foster homes for cats and continues this legacy to now include both cats and dogs. Fostered animals temporarily reside, often as briefly as a week or two, in the homes of nurturing volunteers throughout the Atlanta area until they are permanently adopted. We provide food and veterinary care for the fostered animals. The short-term experience of fostering offers many individuals and families a practical way to explore the idea of having a pet in their homes and, therefore, we highly encourage the experience. For more information, please click here. We operate one of the only facilities in the Southeast dedicated to the care of FIV positive cats. Under full-time volunteer supervision, these cats live in their own cat suite and receive complete veterinary care from our medical team. They also, of course, receive the same love and care given to all of our animals. The FIV+ Suite accommodates up to 30 cats. 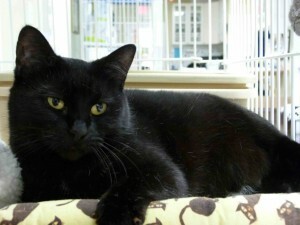 See our FIV+ cats available for adoption. Routine examinations and vaccinations and spay/neuter surgeries are performed onsite at the shelter. Volunteers assist with round-the-clock care as it is needed. 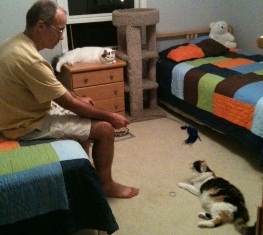 Matching our rescued animals with lifelong owners is one of our greatest joys. We accomplish this mission through the management of adoptions at our shelter, at Petco and PetSmart stores, and at special community events, such as the Atlanta Pet Expo. To help facilitate interest in adoptions, we utilize in-kind public relations support and various promotional tools. Our website makes it possible for pet lovers to directly arrange sponsorship or adoption of our animals. We manage 13 adoption centers for cats and dogs at PetSmart and Petco stores in the Atlanta area and more partnerships are forming. The neighborhood retail environment provides easy access to search for a pet and promotes a positive, ongoing relationship between the pet owner, the store, and Furkids, in turn benefiting the animal. Altering cats and dogs is critical to reduce and eliminate the problem of pet overpopulation. Furkids is committed to this cause. All animals we rescue are altered before being placed for adoption. 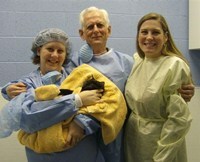 Surgeries are performed by our board-certified veterinarian and in accordance with professional standards. 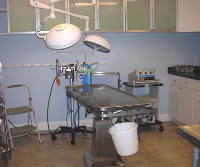 All surgeries take place in our on-site surgical suite. We aim to broaden our ability to perform more low-cost surgeries for the general public in the future. Educating young people is one of the best ways to ensure the well-being of animals in the future. Therefore, we provide a variety of hands-on experiences for children and teens to learn about the care and treatment of animals. In fact, we are one of only a few shelters in Georgia that allow children of all ages to socialize with and care for animals. This opportunity better prepares our animals for adoption and promotes greater understanding of animals amongst the children. Our regular weekly youth activities at the shelter include hosting autistic children and scout troops. For older students, we provide tours and caretaking opportunities at the shelter, as well as at our Petco and PetSmart adoption centers. 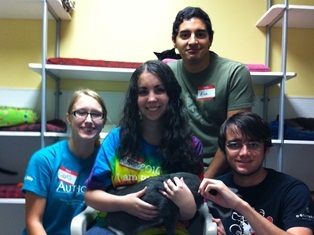 Over a dozen local schools and colleges take part in monthly educational and volunteer activities at Furkids. Plus, teams of students from out-of-state universities, such as Ohio State University coordinate service projects for Furkids during their winter and spring breaks in Atlanta. We take great pride in the large volunteer force who get involved in our numerous day-to-day operations, special events, and fundraising functions that we host year-round. Currently, Furkids has over 500 active volunteers from all walks of life and all across the Atlanta area. Get to know some of them. 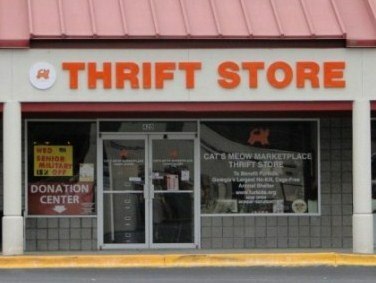 We established a thrift store in 2009 that is supported by donations from individuals in the community. The store generates revenue and boosts public awareness of Furkids and our valuable programs. In 2011 we achieved the milestone of operating the store six days a week and hiring a full-time store manager. All proceeds from the store go directly to benefit the animals. We now have locations in Norcross and Marietta! We actively provide educational resources about pet adoption and spaying/neutering through email, direct mail, Facebook, Twitter, and our website. Our volunteer force also works diligently to staff our email and phone hotlines in which we respond to over 10,000 inquiries annually, ranging from adoption procedures to rescuing animals to medical emergencies. Whether at our shelter, the Petco and PetSmart stores, community events, social networks or with media relations, Furkids strives to communicate the important messages of animal welfare. Purrkids volunteers work one-on-one with shy, fearful, traumatized and under-socialized cats to help them become more adoptable. 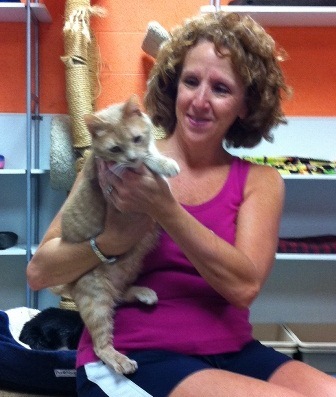 Pictured below is Muzby, one of the first Purrkids cats, who has made a remarkable transformation and is now adopted! 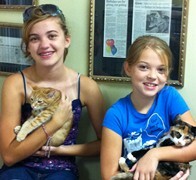 Purrkids volunteers change these kitties lives in profound and lasting ways. The work can be difficult and frustrating, and results can be agonizingly slow, but it’s rewarding to watch a frightened cat learn to trust humans and enjoy interaction.